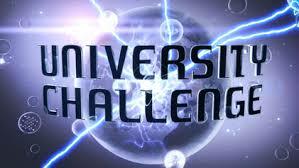 Good Luck to Old Milbournian Anthony Chater who captained the Kings College London University Challenge Team. The University Challenge programme will be broadcast on Monday 8th October 2018 on BBC2. During his time at Milbourne Lodge, Anthony as a keen member of the Milbourne Quiz team and took part in many Buzzer Quiz rounds under the watchful eye of Mr Cowdrey.